When the voters nominated their 2016 Eclipse Award champions, Classic Empire took the 2-year-old male title with a landslide 248 votes out of a possible 248. It is fair to say that he dominated his generation throughout the year, from the moment he made a winning debut three days before the Kentucky Derby. From then on it was Graded stakes only and he remained unbeaten, except for the time he lost his rider in the Gr.1 Hopeful Stakes. Fast enough to take the Gr.3 Bashford Manor Stakes over six furlongs in early July, Classic Empire was much the best in the Gr.1 Breeders’ Futurity and he showed courage as well as class in repelling Not This Time’s challenge in the Breeders’ Cup Juvenile. Despite this demanding juvenile campaign, Classic Empire trained on well, notably taking the Gr.1 Arkansas Derby and being beaten only a head in the Gr.1 Preakness. He also has the pedigree of a potentially high-class stallion. 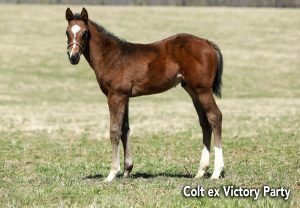 He is bred along similar lines to Triple Crown hero American Pharoah, as both were sired by Pioneerof The Nile from grand-daughters of Storm Cat. He also shares the same sire as Cairo Prince, who already has a Graded winner among his first-crop runners. Like American Pharoah, Classic Empire enjoys the significant benefit of having a pedigree free of such as A.P. INDY, SEATTLE SLEW, DANZIG, SADLER’S WELLS, DEPUTY MINISTER, ROBERTO and HALO. His two lines to Mr Prospector will be no closer than the fifth and sixth generations of his foals’ pedigrees. Even Storm Cat will be back in the fourth generation and Fappiano in the fifth, allowing a second line to either. Empire Maker sired Gr.1 winners from mares by three different sons of SEATTLE SLEW, including the three-time champion Royal Delta from an A.P. INDY mare. Altogether he sired 8% black-type winners from daughters of A.P. INDY. 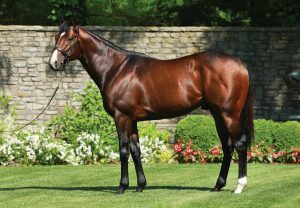 Empire Maker’s son Bodemeister has sired the fast Gr.2 winner American Anthem from an A.P. INDY mare and the Gr.3 winner Once On Whiskey from a MINESHAFT mare. Classic Empire must be a prime candidate for daughters of A.P. INDY and his sons, especially those which combine A.P. INDY with MR PROSPECTOR, such as PULPIT, MALIBU MOON and MINESHAFT. 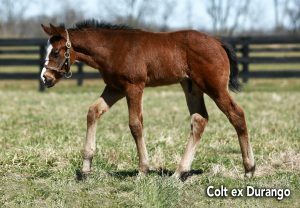 The similarly-bred American Pharoah had a $1.2m first-crop colt with a PULPIT dam and a $1.2m filly with a MALIBU MOON dam. Daughters of TAPIT create 4x4 to the powerful classic influence UNBRIDLED. Daughters of BERNARDINI, broodmare sire of Pioneerof The Nile’s Gr.3 winner Dark Nile, should also help Classic Empire sire potential Triple Crown performers. 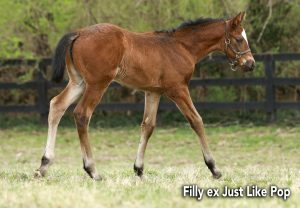 An American Pharoah filly which sold very well in France is inbred 4x4 to UNBRIDLED. Classic Empire’s yearling half-sister by CANDY RIDE sold for $775,000 in 2018. Empire Maker sired 15% black-type winners from daughters of SEEKING THE GOLD. There are numerous other options from this MR PROSPECTOR male line, including KINGMAMBO, CARSON CITY, SMART STRIKE, CURLIN, DISTORTED HUMOR, SPEIGHTSTOWN (4x4 to Storm Cat) and STREET CRY. EL CORREDOR, a grandson of GONE WEST, is the broodmare sire of two high-priced first crop yearlings by American Pharoah. 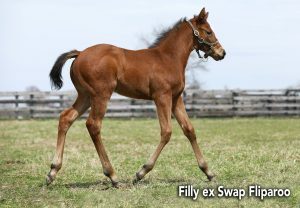 Mares by GIANT’S CAUSEWAY and other sons of Storm Cat, such as FOREST WILDCAT, BLUEGRASS CAT, STORMY ATLANTIC and YANKEE GENTLEMAN, create only 4x3 to STORM CAT. 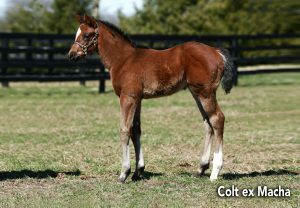 This is well worth trying as Empire Maker sired Bodemeister and In Lingerie from daughters of STORM CAT. Empire Maker sired a Gr.1 winner from a mare by Danzig, plus Gr.2 winners from mares by Danzig’s sons BELONG TO ME and PINE BLUFF. This suggests Classic Empire could thrive with mares by other dirt performers by DANZIG, such as WAR FRONT, HARD SPUN and EXCHANGE RATE. EL PRADO and his sons MEDAGLIA D’ORO and KITTEN’S JOY represent the SADLER’S WELLS line, as does the great GALILEO, whose daughters produced American Pharoah yearlings which sold for $750,000 and $675,000. Empire Maker and Pioneerof The Nile have both sired black-type winners from a daughter of TOUCH GOLD. Pioneerof The Nile has a Gr.3-winning juvenile with a dam by GHOSTZAPPER. Pioneerof The Nile sired the Gr.3 winner Vinceremos from a MORE THAN READY mare and Preakness third Social Inclusion from a SAINT BALLADO mare. HOLY BULL is the broodmare sire of Cairo Prince, another of Pioneerof The Nile’s best sons.